Welcome to The Brantley Association of America. 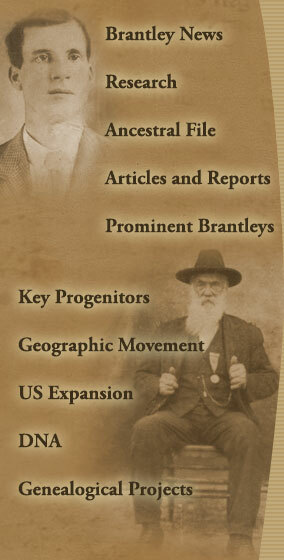 The Association, a family organization founded by Ken Brantley, is dedicated to genealogy and history research on the Brantly or Brantley surname, primarily throughout the United States. 1. To connect the various Brantley lines to our common ancestor, Edward. genealogical data on the Brantley family. 3. To preserve records dealing with Brantley persons.